Dinner With Jackson Pollock is one of our newest publications, but in the short time since it's debut, it has easily become a customer favorite. And for good reason! Just looking at the cover inspires creativity in the kitchen, as well as the studio. Diving in you'll discover Jackson Pollock in a new way. Family stories, anecdotes and some of Pollock's masterpieces are interspersed with more than 50 recipes collected from handwritten pages scrawled by Pollock, his wife Lee Krasner and his mother. What better way to celebrate this book than to test some recipes and then throw a "Paint Like Pollock Party"! Did you know Pollock was an amazing baker? We made Jackson's Prize-Winning Apple Pie and would have to agree! We also tried out the Spinach Muffins and Homemade Tomato Chutney- both as delicious as they sound. Jackson and Lee loved to use vegetables from their own garden. Things got a little messy as we channeled our inner-Pollock! 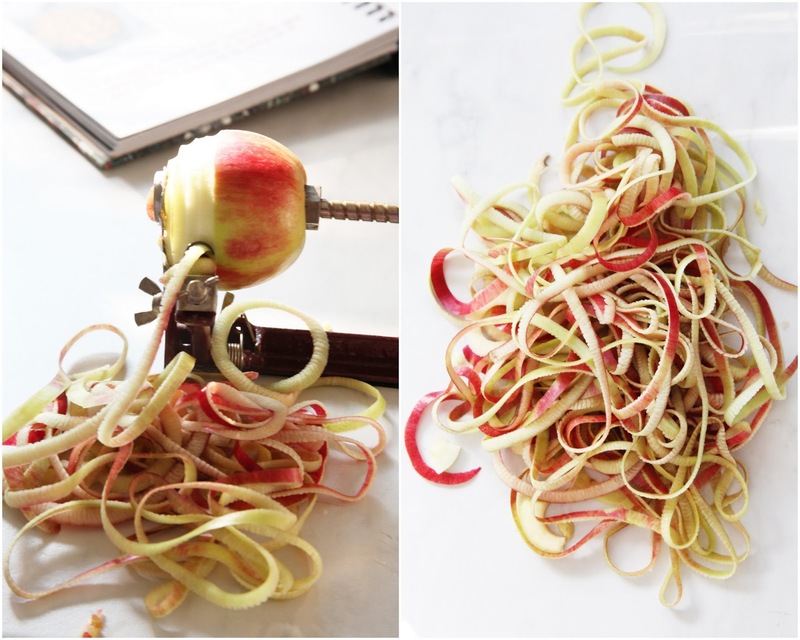 This is more than a cookbook, it's also a storybook. Getting to know Jackson Pollock and his family through the food they loved makes each recipe more meaningful. 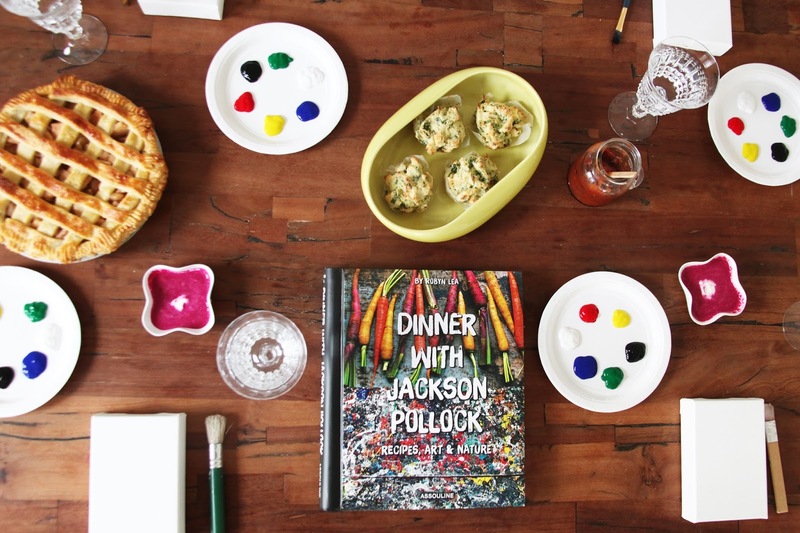 If you're interested in getting to know more about Pollock, and making some delicious food as well, purchase your copy of Dinner with Jackson Pollock here!